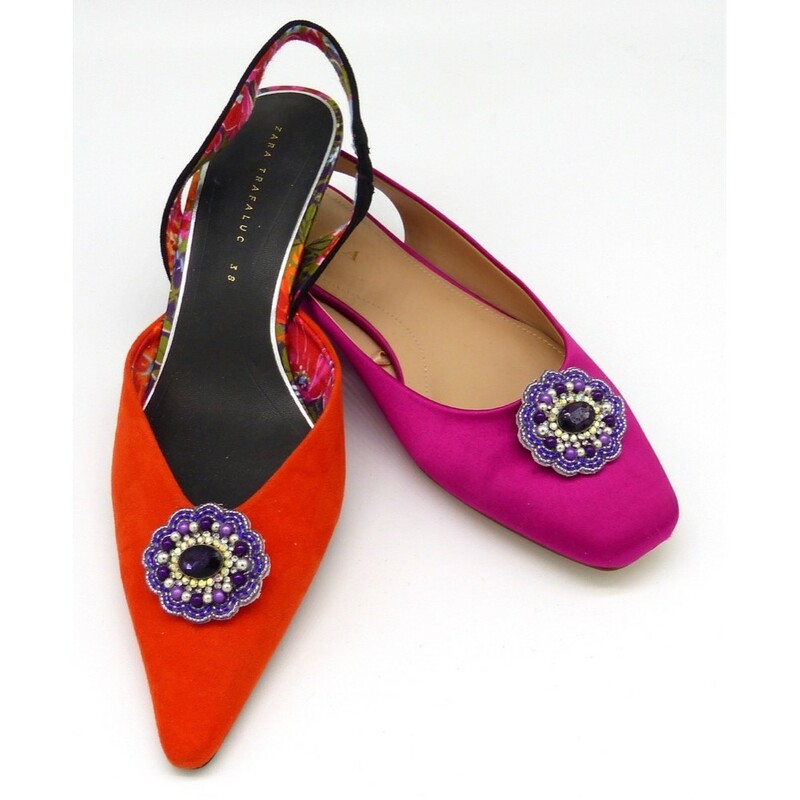 Shannon is a vibrant purple shoe clip that adds an exquisite addition to a pair of shoes. 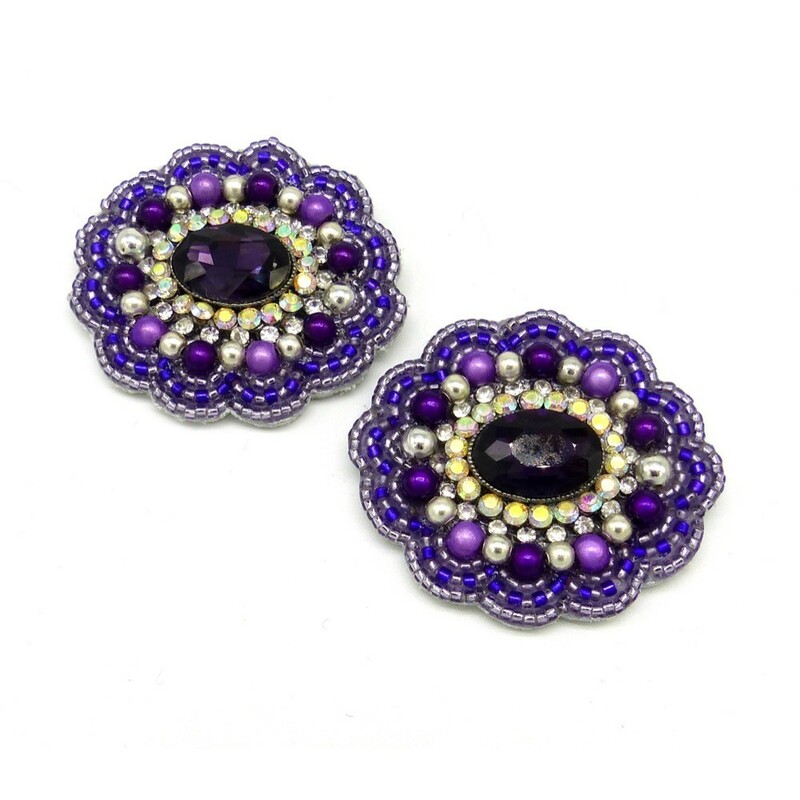 It would make the finishing touch of a wedding outfit. Size of shoe clip: 42mm x 38mm.